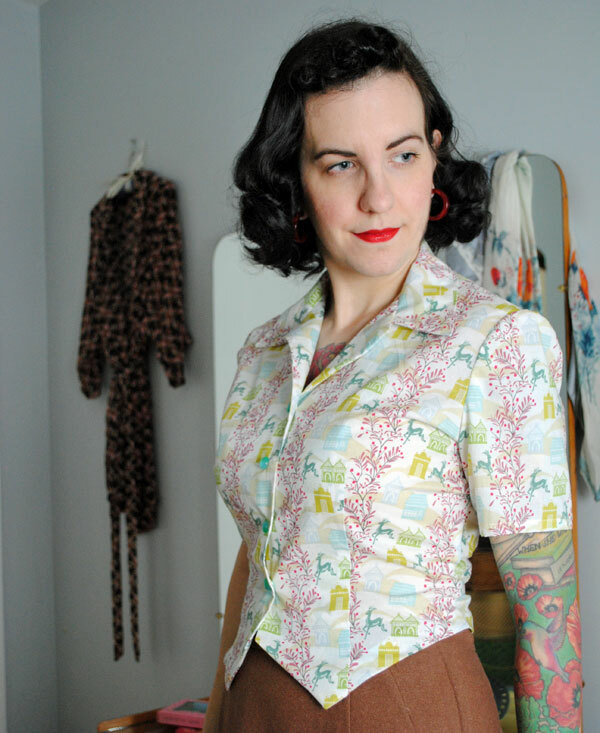 I really owe Debi from My happy sewing place a big thank you for the inspiration for this blouse! 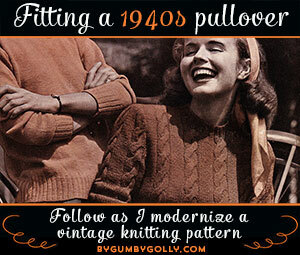 If you follow Debi’s blog you’ll already know she’s embarked on a huge long-term project called the 1940 McCall project where she intends to make all the McCall patterns from 1940. What an exciting commitment! I’ve been very inspired by her posts about the early stages of the project so far and it led led me to think about my own sewing goals, which I’ll talk about in a future post. 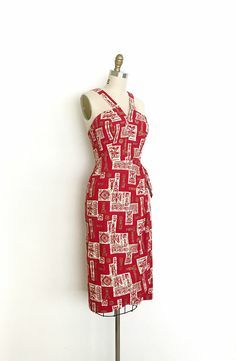 When I read about Debi’s project, I went through my vintage sewing patterns to see if I had any McCall patterns from 1940 that she was missing that I could send her, but I discovered not only did I have very few McCall patterns period, none were from 1940. 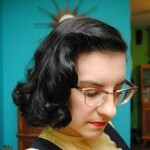 The closest I got was a blouse from 1942. 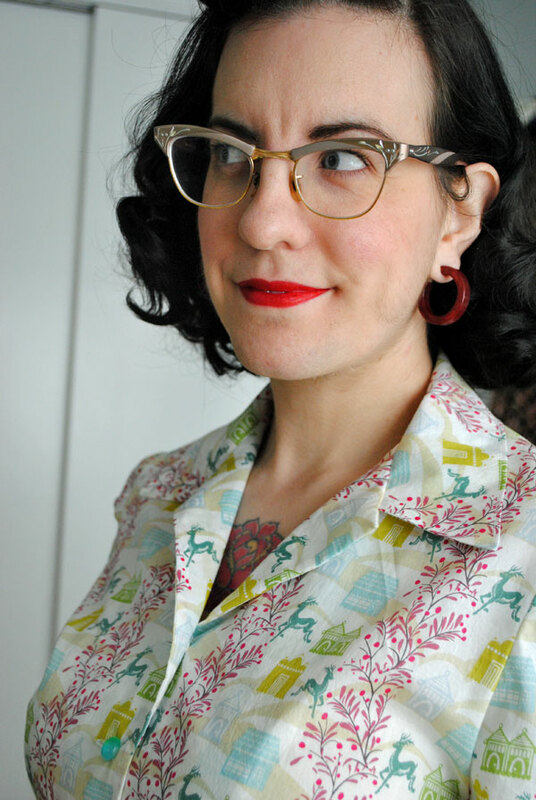 I’ve been meaning to get over some reservations on sewing notched/convertible collar blouses, so inspired by Debi and her commitment to her McCall project, I decided there was no time like the present and this McCall pattern would be the one to try. The pattern is McCall 4820. I sewed view B without pockets (though the pockets would be a great way to show off a vintage hankie). Isn’t the envelope art great? Now, I don’t go in for “wearable muslins” usually. I either make a muslin or I don’t. But this fabric begged to be a wearable muslin. 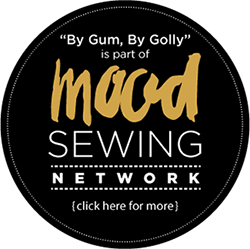 I bought it over two years ago when I first toyed with garment sewing. 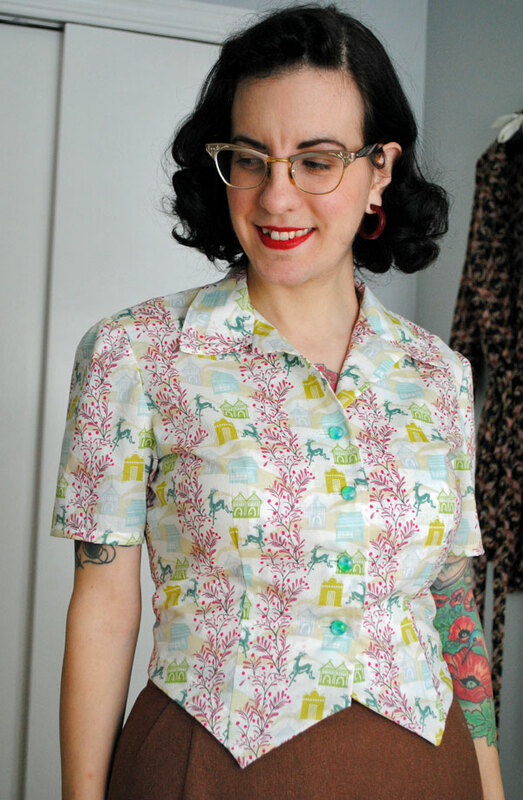 I love novelty prints but no longer loved this one (though I still liked it okay), so I thought that would make it a good candidate to try out a notched collar blouse. It’s a lightweight cotton voile from the Anna Maria Horner Little Folks line. As it happened I could not straighten the grain in this fabric to save my life, so I figured if it worked out great, and if it didn’t, no big loss. And more or less, it worked out! There’s a few funny bits due to the grain issue, but nothing that makes it unwearable. I think I conquered my fear of notched collars (with no back facing) with this one. They’ve been my theoretical nemesis in sewing for a long time, even though it’s the style of blouse I wear the most! So that’s really kind of plagued me. I say “theoretical nemesis” as I’ve only sewn one blouse with a notched collar (two years ago) and it went together okay, but I never felt I full grasped how it’s supposed to work, no matter how much I read about them. Which I did. A lot. Including this, this and this, along with several vintage resources. I still think it’s hard to get the area where the shoulder line meets the edge of the front facing (and where you turn in the upper collar) to look nice, but now I’m over my worrying about it. Sometimes you just have to do it and get over it. Question: are you supposed to press a collar open? The underlap side lays flat but the overlap side doesn’t want to, and I was trying to decide if I could coax it flat by pressing. This is maybe a side effect of the aforementioned weird grain issue, but I wasn’t sure since it’s my first collar like this. Now here’s an awesome moment of sewing stupid: I didn’t realize until I was taking photos of this blouse that I placed the back piece upside down. I KNOW. That after trying to match up the front pieces, even. If I didn’t photograph it, I wonder how long it would have taken me to notice? Even though I wasn’t hugely keen on the westkit-style shaping at the bottom of the blouse (I prefer to tuck in my blouses), I went with it on the first pass at this pattern as I knew it would be easy to change the length and shape of the hem in the future. But trying to get a smooth hem up and around and back down the sides of the blouse was nearly impossible. Fortunately it lays more-or-less flat on my body even though it’s a bit wobbly on the hanger. The body is shaped with two long darts on the front and back and no bust darts. The front darts were new to me as they’re cut out! It’s kind of annoying to do them, actually, as the dart extends about two inches above the cut, so maneuvering that bit with my serger was kind of a guessing game. The only thing I changed with the pattern is the sleeve head. 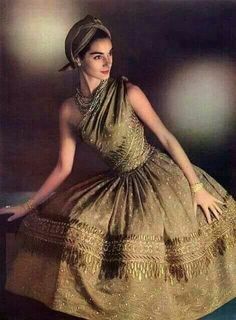 The original pattern has a very classic 40s pleated/darted cap, but I’ve learned over time this style is just too severe for my narrow shoulders, be it fabric or knitted. Instead I went for a slightly puffed sleeve cap that’s more flattering on me. 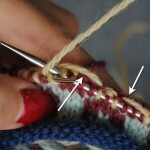 Casey did a great post on demystifying sleeve ease if you’d like to learn how I did it. I think in the end this sleeve cap has about 2.5″ more ease than the armhole. I might even add another inch in the future for slightly more puff. When I was picking buttons from my stash I picked these blue-green ones, and thinking back 2+ years I believe I actually bought them to go with this fabric. I guess it was meant to be! I have to say, it was such a pleasure to sew something that actually fit in the body and the shoulders right off the bat. 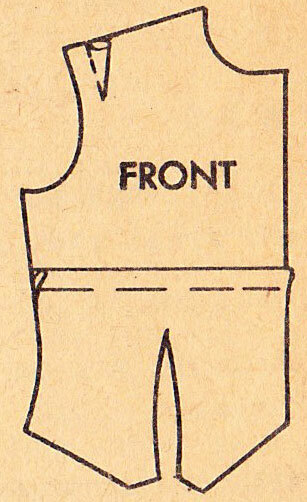 I am definitely going to be looking for more vintage McCall patterns in my size! I also just discovered I’m a full dress size smaller than I was for years. I have no idea when that changed (I suspect prior to last summer, judging from the fit of things I sewed then) but it explains the feeling I’ve had for awhile that everything I own or have sewn is slightly too big. Kind of a weird feeling when you own a lot of vintage or one-of-a-kind clothes! Anyway, here’s a rare photo of me without my glasses, as they were glaring from this angle. You can almost tell I have blue eyes. I’ll definitely sew this blouse again. 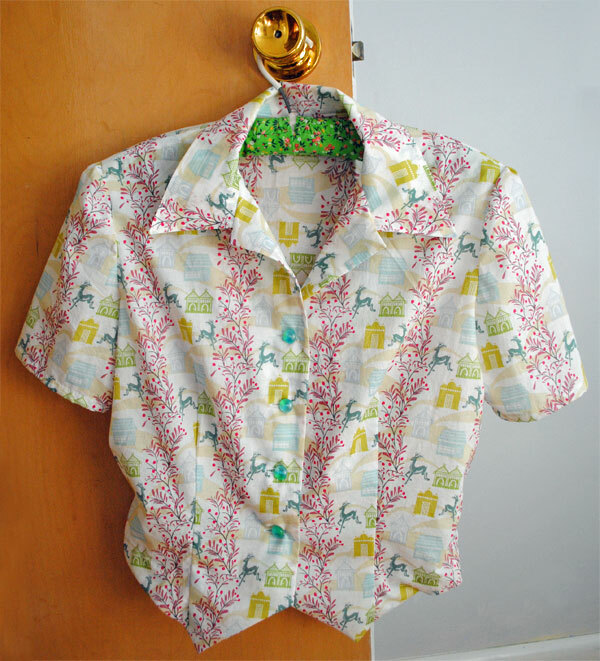 It’s been a goal of mine for over a year to have a blouse pattern that I can turn to again and again, and this is it! In fact I’ve already traced off the pattern pieces and lengthened and straightened out the hem for future versions, and I’ll be sewing another soon in vintage fabric. I can see many variations of this to fill lots of gaps in my wardrobe—what would you do to make it special? Even though I’m still calling it a wearable muslin (hello crappy grain and upside down back), I’ll definitely wear this cute lightweight blouse. I don’t know why I had such a mental block on notched collar blouses. I think it was really holding back my sewing. No longer. 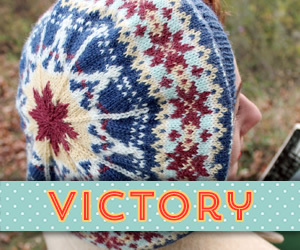 I consider it a big triumph, since it led me to a pattern that I know will become a tried and true one for sure. Thanks for the inspiration, Debi! I love it! It looks great on you too. The little frolicking deer (Ibex? Impalas?) are so fun. Oh my gosh yes, they totally need to be ibex or impalas and not deer! So funny! YAY! What a great pattern! I tend to not tuck my shirts in, so having that weskit bottom is a nice touch. LOL on putting the back upside down! Isn’t that the way it goes? Easy enough to cover with a sweater as needed, but I’m Glad it’s not your fashion fabric… And Thank You for the info on collars: great minds think alike, as I’ve been ruminating on convertible collars (they intimidate me), so seeing your success and having the links is a great help! FABULOUS!!!! It’s so pretty! The fabric is amazing. And I love the cut of the blouse!! It looks so cute! I really need to start sewing more blouses…. What a delightful print! I adore the tiny little stags! What a great silhouette on you! And despite wonky grain and upside down back the fabric is lovely with it. This is a very well fitting blouse if I may say so. Fetching! Gorgeous! 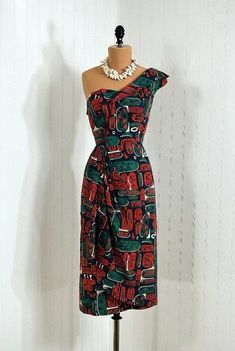 I love that pattern, with the shaped hemline, it’s very cute. 🙂 Nice touch with the slightly puffed sleeves, they really suit you. That is totally not a pattern I would have picked for myself. I do like tailored looks, but the envelope makes it seem extremely prim and proper, and, frankly, “is it a blouse or a waistcoat” my mind asks in that annoying tone of voice. Having seen the result, though, I really like it. 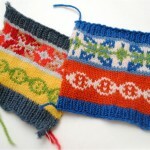 I’d definitely consider picking up a similar pattern now. I love it! 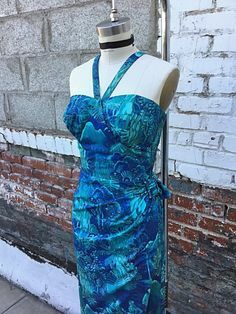 It looks great on you and the fabric is so cute. 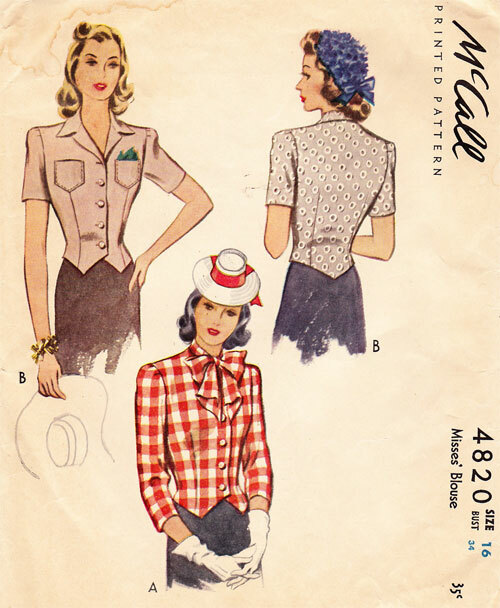 I’ve been wanting to make some blouses, perhaps I should check out the McCall patterns. 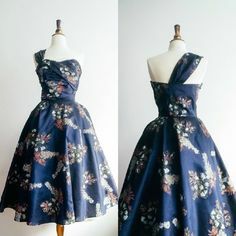 How adorable, the fabric is just lovely and really makes it! I had a blouse mishap myself recently when I cut the back as two separate pieces as I misread the pattern; I was so annoyed with myself. Love the little deer in the pattern. This is too cute, despite the upside down print on the back! I bet you no one will notice unless you point it out! I’m surprised at how much I like the weskit style waist. Very cute. love it! i think the bow collar version would be so cute too! It’s a keeper. For sure. Wonderfully done and beautifully photographed! It’s such a great little top and the fit is divine on you! How funny about the back piece, but at least the sleeves are both in the right direction. I think if the sleeves were off too that may be a deal breaker, but as it is, I think it’s fine. I think this top is begging to be made into a chic tweed vest, with pockets lowered towards the waist. I feel your pain about the shoulder area and have also learnt that the mega puff sleeves are not for me. This top is a total WIN and I love the fact you made a wearable muslin instead of a plain old muslin. Makes it more with your time, doesn’t it?! For the over-flap collar piece (that’s not laying flat), I’d just lightly steam it (and press it down with your fingers) to get the fabric to have some *memory* of folding over. That way you won’t have a sharp crease in the fabric, but it will lay how you want. What an adorable blouse! Looks perfect on you. I am loving those earrings as well! 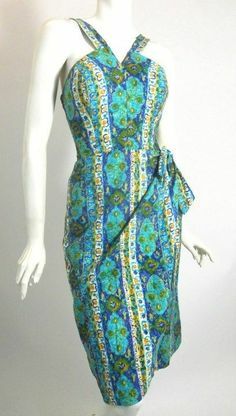 What a magnificent shape and fabric! Oh, Tasha, I adore this blouse! You really make the most fantastic, appealing, timelessly lovely creations. Very cute! I never even noticed the back until you said something. This style fits you to a T!! 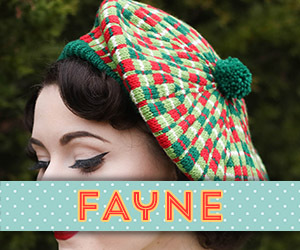 Beside the fact that you are obviously and very talented and creative seamstress and knitter, you have just got the greatest personal style. 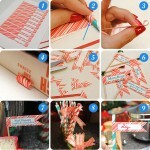 I am so impressed! keep it up lady! I know I already told you on Instagram, but I LOVE this blouse! I didn’t notice the buttons before, but now they are my favorite part, the color is gorgeous! Erin just for you! I went through my old old links and found the place where I bought them, they still sell them and in a few colors too! Such a cute blouse! I know what you mean about notched colars being your nemesis. I feel exactly the same. I abandoned a McCall’s shirt dress which fitted perfectly because I couldn’t do the notched collar. I’ve avoided them (and McCall’s patterns) ever since! Pah! 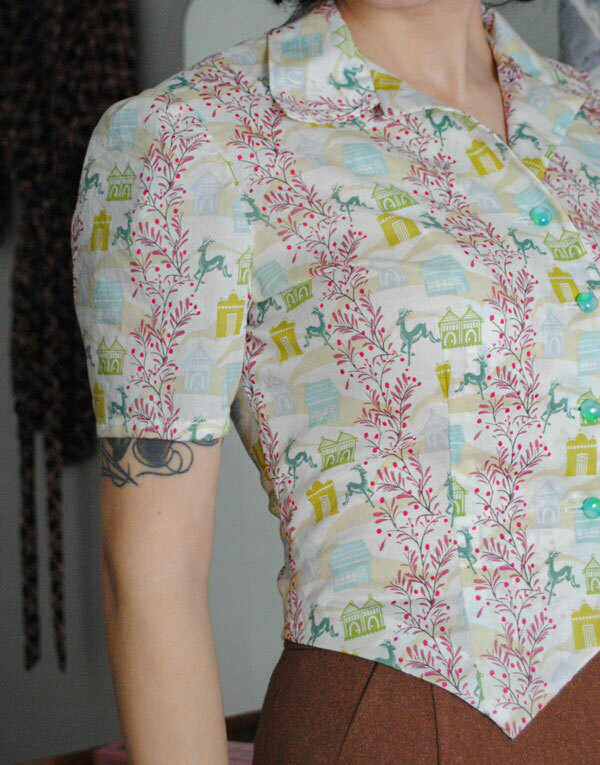 So that fabric is totally adorable, and I think it works perfectly as this blouse! Yay for wearable muslins and yay for having a blouse pattern that you want to make again! What a gorgeous blouse! 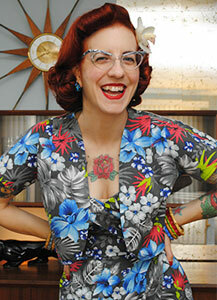 I have only sewn a blouse once and it was an epic fail. It was early in my sewing adventures so I was still quite new. I think a combination of wrong fabric and the wrong style for my body shape ended up in a blouse I wore once for photos and never again. 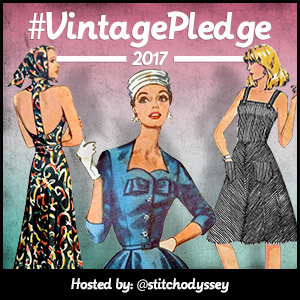 I have a couple of vintage patterns I want to try in my stash though so hopefully one day I will manage a successful blouse. I LOVE this blouse! It’s perfect, and it fits amazingly! 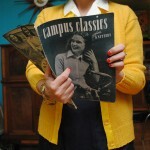 I’m embarking on a *much simpler* 1940s blouse pattern soon, too. I hope it works out as well as yours! 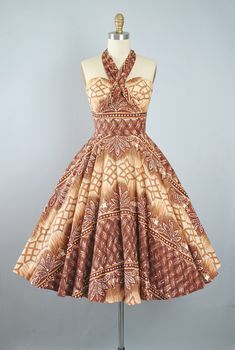 that fabric is beyond amazing! i love anything novelty! t hanks for the inmspiration. It looks wonderful. 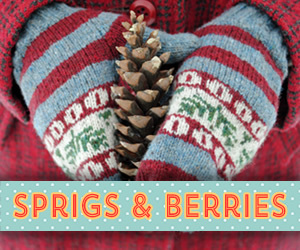 Isn’t it lovely to have used something from your stash and now be able to wear it? this blouse is just adorable. love it. I LOVE that fabric!! The whole thing is just darling. And another beautifully made blouse! 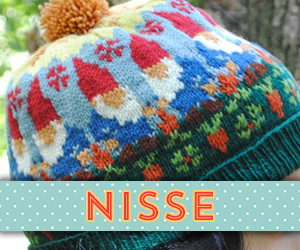 I LOVE the adorable pattern on this one and the cut is lovely and very flattering! 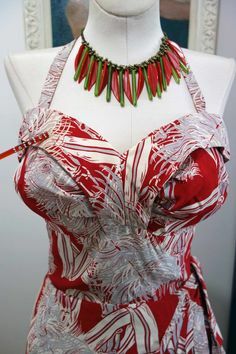 I LOVE how sharp the points at the bottom of this blouse and on the collar are, and the print is so bright and cute (and I don’t think anyone will notice about it being upside down in the back, I certainly didn’t, even when I looked at the photograph!). All in all, a winner! Good work. Adorable! I love the bottom of the blouse and how it reminds us of a vest. Sorry, I’m not very eloquent when it comes to discussing parts of clothing. I just know what I like when I see it!